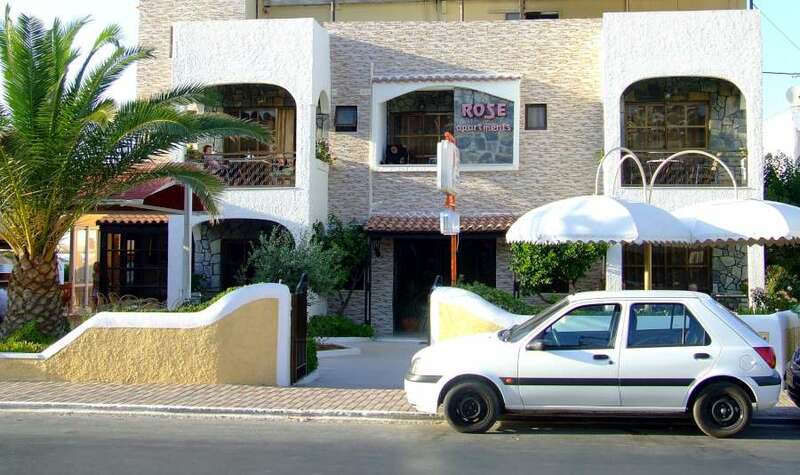 Welcome to Hotel Rose in Stalos - Chania, located in Stalos, 7km west of the city of Chania and 4km from the village of Platanias. 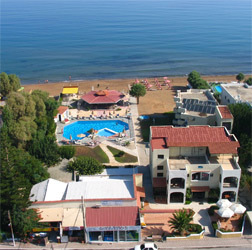 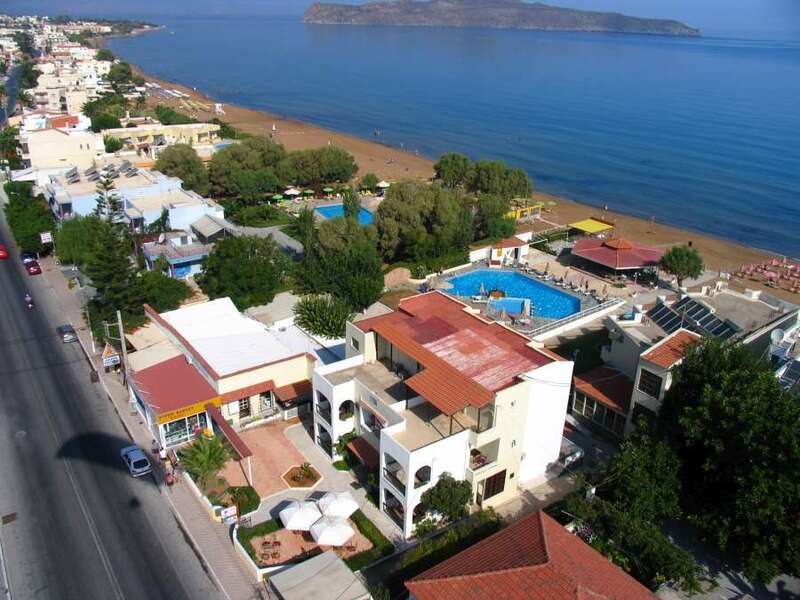 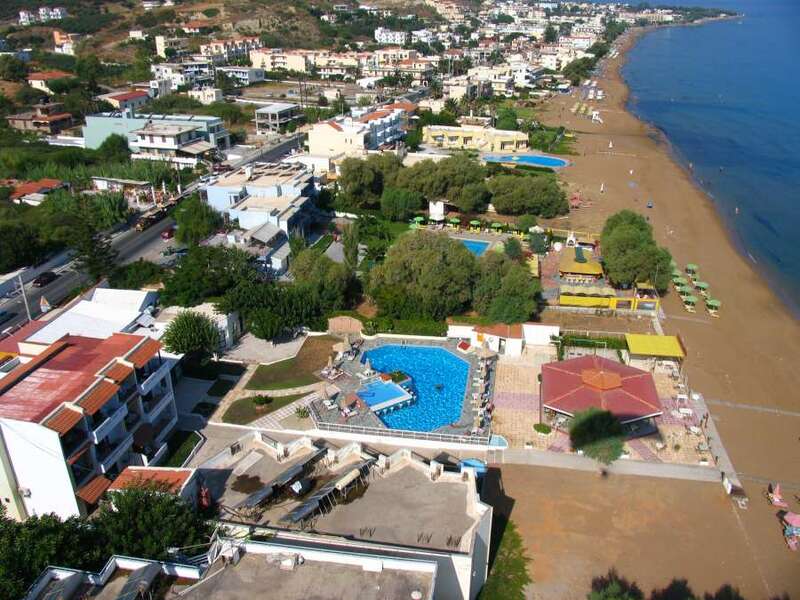 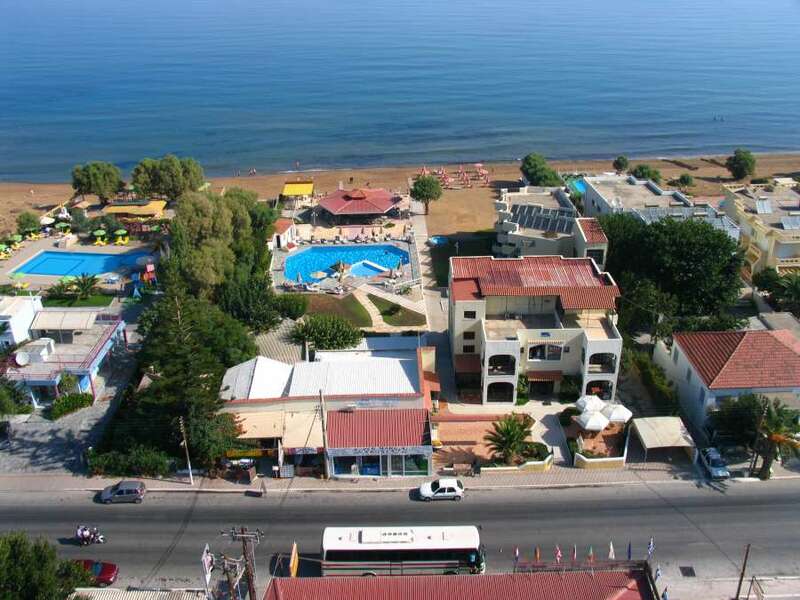 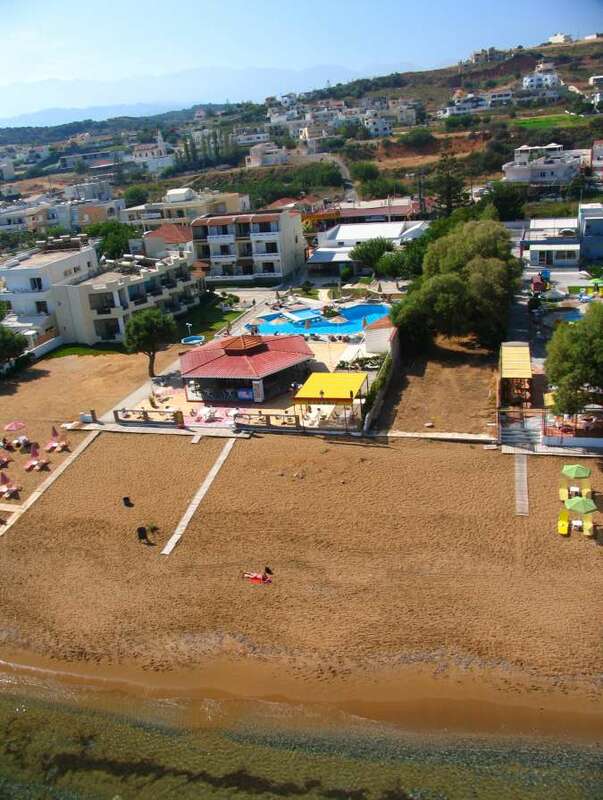 The Hotel is built by the seaside just by the blue sea and the sandy beaches. 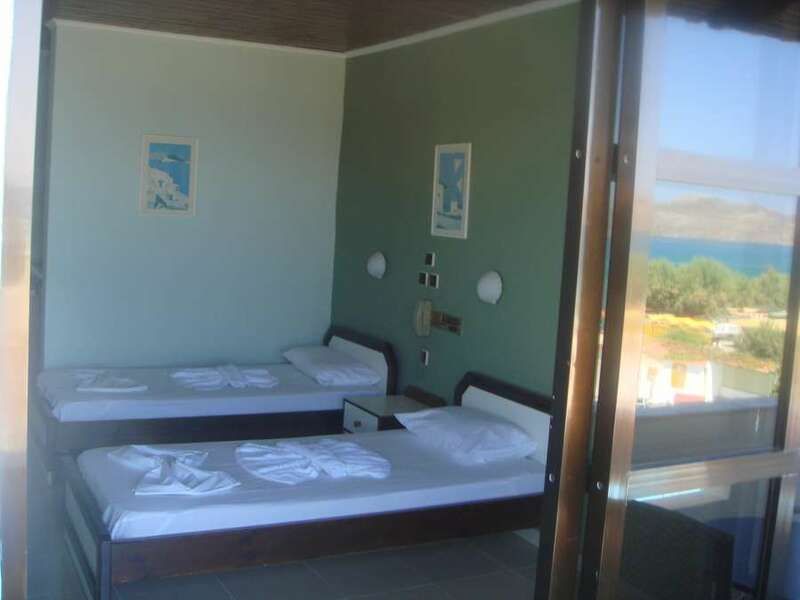 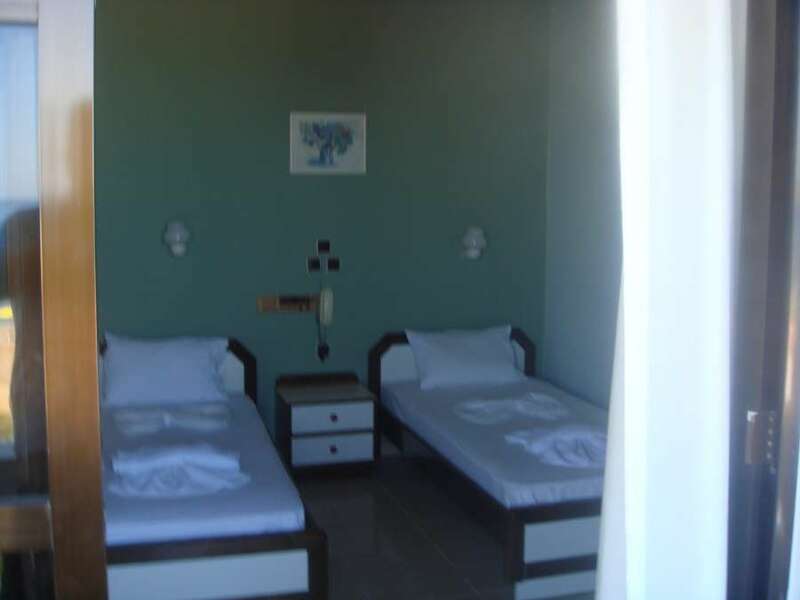 It consists of 24 rooms spread in two buildings, all of which are equipped with private bathroom, telephone, TV with DVD, refrigerator, music, wireless internet, A/C and balcony with direct access to the beach. 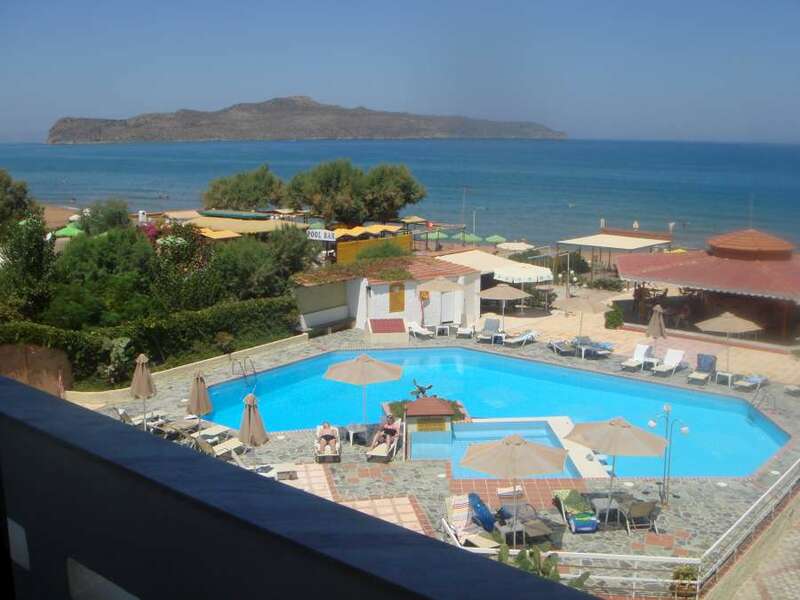 Lovely sea or garden views are offered. 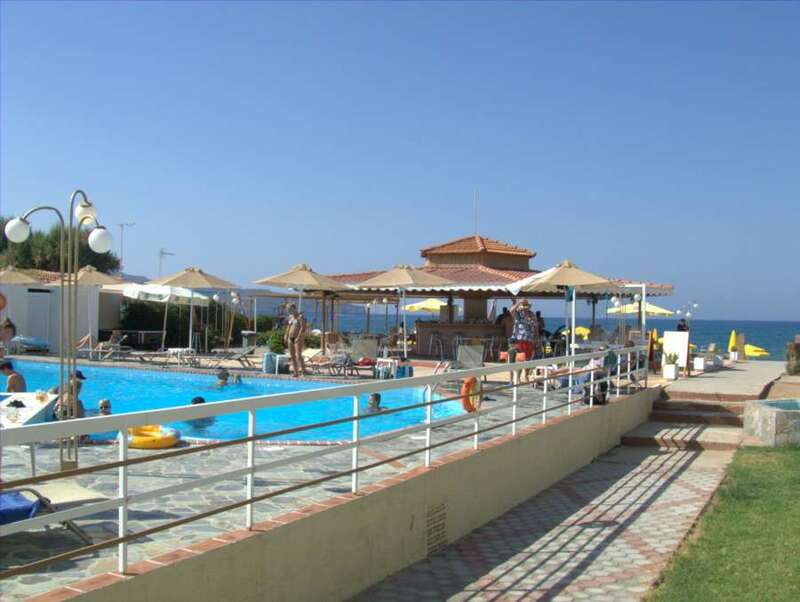 Breakfast is available, lounge with TV, big pool, pool bar, playground, gym, billiard pool, are offered.